One thing I love about the holidays is making handmade gifts for family and friends. I try to think of items that are simple enough to make for everyone, easy to customize, and practical. 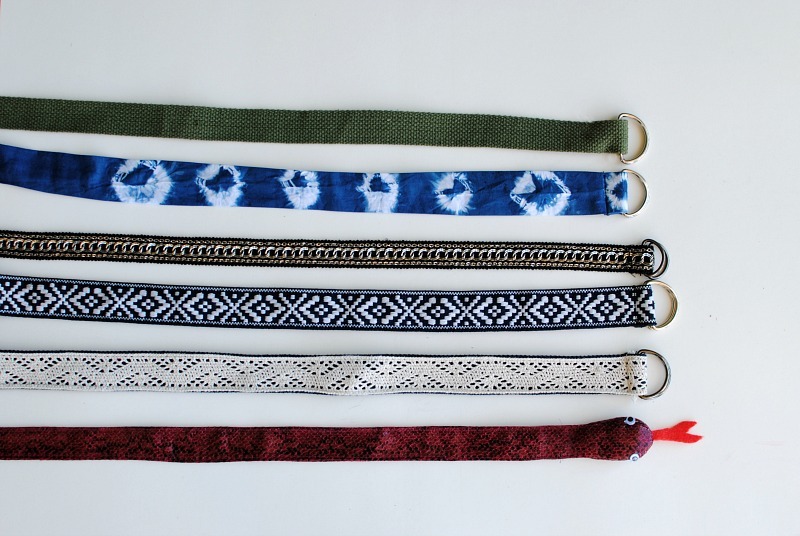 These D-Ring belts check off all my boxes and are great stocking stuffers too. 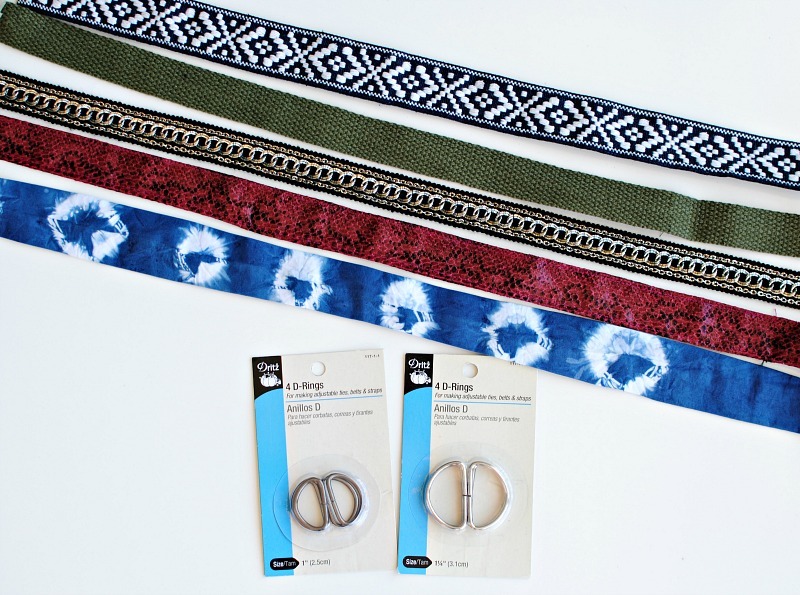 Dritz D-Rings make these belts simple to create and you can personalize each one based on fabric, print, and embellishment for everyone in your life. I also am a fan of these belts because they're not bulky under shirts. 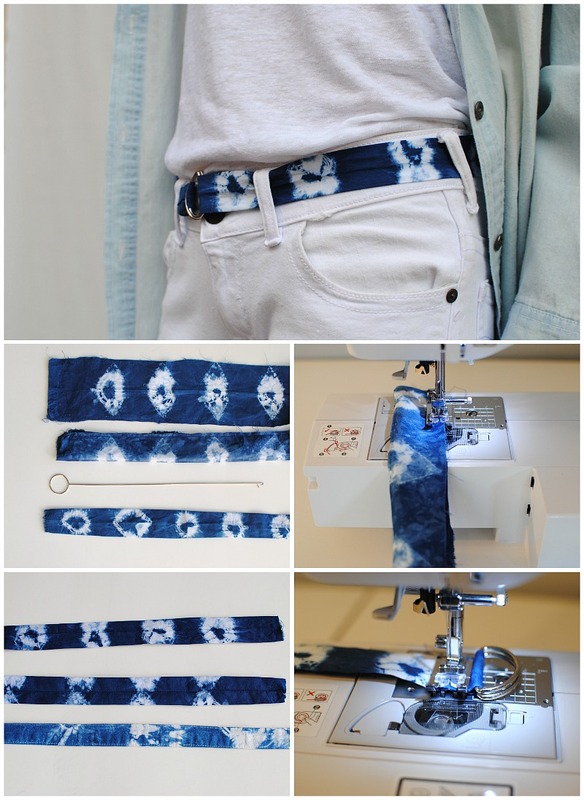 Get the details below on how to make a D-Ring belt. Supplies: Think outside the box when picking materials. The traditional way to make these is with cotton webbing. You can also use fabric, embellished trims, and ribbon. I chose an embellished chain trim, hand dyed fabric, ribbon, and a woven trim. You will want to get a strap that measures the D-Ring width or slightly smaller. The length should be waist measurement + 7" (child 5"). So you will need atleast 1-2 yards per belt depending on this. Because it's a gift, getting a waist size will be hard so look up standard waist measurements based on size and add the additional 7". Fabric Method: I love using fabric method because I get to use my hand dyed shibori fabric. Cut a strip of fabric that measures 2" (or twice the measurement of the D-Ring width you chose) x waist measurement plus 7" (child 5"). Fold them in half so right sides are together and sew along the raw edges. Use the Dritz Loop Turner and pull the right side out. Press so the seam is in the center of the back. Tuck in the raw edges at the end and sew into place. Fold the strip over the D-rings enough to sew into place and sew. 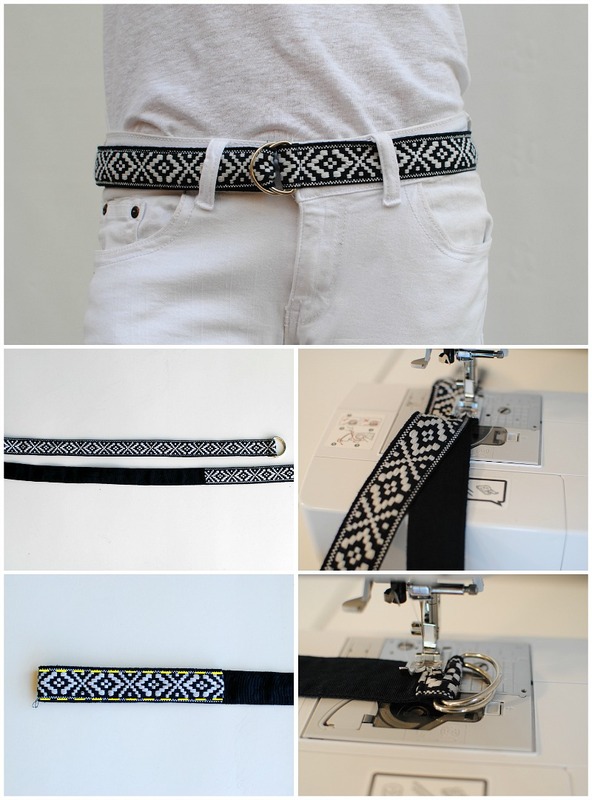 Cut your strip to measure the waist + 7" If you're using a strip that has a print on one side and solid on the other you will need to add an additional 7" to sew over the back side. 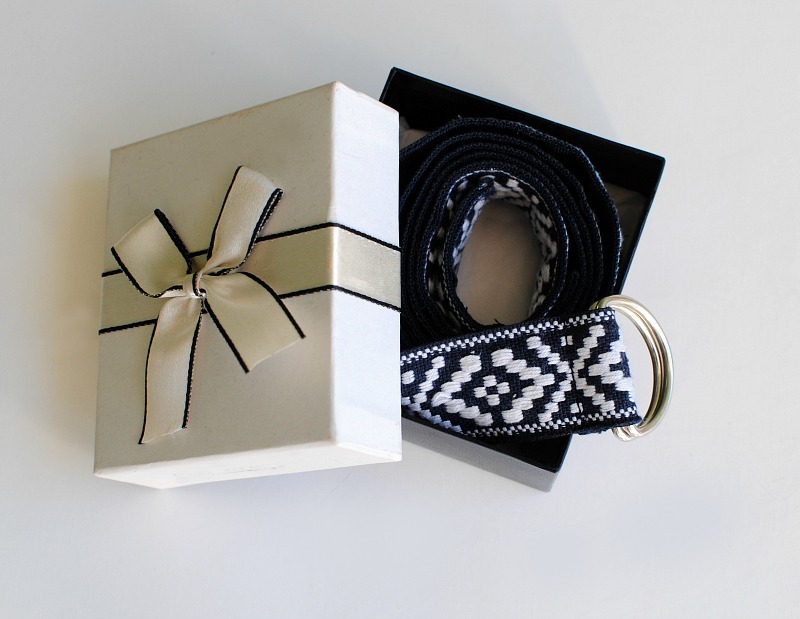 Try sewing a lace or printed ribbon over the webbing. Fold over the rings about 1/2" toward the back side and top stitch into place. That's it...once you get the hang of this you will whipping them out for everyone you know. My thoughts on this is wonderful. I have never seen such beautiful waistline, very beautiful. Thank you from your heart. If you want, you can see our side pest control denver .I think it's can helping you. All products are very nice and classy.Thanks a lot for shearing this blog.You can also visit my site.To visit my site click here tv price tracker tool .This tool will tell you how to buy good quality television at a low price.